The Canola Council of Canada (CCC) is continuing to demonstrate the value of canola meal for dairy producers. Gordon Speirs, a dairy manager at Shiloh Dairy in Wisconsin, participated in a recent on-farm trial where canola meal was fed at high inclusion rates. “Canola contributes to cost-efficient production. We no longer have to source and store expeller soybean meal,” he said. The Canola Council of Canada (CCC) conducted the on-farm trial with the help of GPS Dairy Consulting, a group of independent dairy nutritionists in Wisconsin. The purpose of the trial was to determine whether producers could increase efficiency by replacing multiple high-priced protein sources, such as animal protein blends and treated soybean meal, with canola meal while maintaining milk yield. Two Wisconsin dairies volunteered to participate in the trial. The trial rations replaced animal protein and high-bypass soybean meal with canola meal and rumen-protected lysine. - The additional canola meal allowed them to streamline sourcing protein ingredients. "Although the field trials were small, we are encouraged by the positive results, and will continue to research the uses of canola meal for dairy animals," says Brittany Dyck, canola meal manager with the CCC. Canola production in Manitoba rose 5.4% from 2017 to 3.3 million tonnes in 2018, that according to Statistics Canada. Delaney Ross Burtnack is the executive director of the Manitoba Canola Growers Association. "This was certainly one of the better years in terms of acreage, it wasn't a record year, but still one of the high years. Canola production is definitely high and favoured in the province...Overall, it was strong." Manitoba canola yields fell from 44 bushels per acre in 2017 to 43.3 in 2018. Lower yields were offset by a larger harvested area, which increased by 224,100 acres to 3.4 million. Ross Burtnack expects to see similar acres in 2019. Clubroot is often viewed as a Central Alberta problem, but the canola disease is spreading. The Canola Council of Canada says the disease leads to swollen, deformed plant roots that restrict water and nutrient uptake, resulting in premature ripening or plant death. Agronomy Specialist with the Canola Council of Canada, Dan Orchard, says in Alberta, clubroot's expanding at a rate of 30 kilometres per year. "Don't wait until you see dead patches to go looking for clubroot. By then it's kind of like closing the barn door after the horse is out, so I think scouting diligently to find those symptoms before they appear above ground, and that's going to be a huge saviour." Clubroot was found in a field southeast of Calgary back in September, which is the first year the disease had been confirmed in Rocky View County. Clubroot photo courtesy of the Canola Council of Canada. Orchard adds research shows the importance of crop rotations to prevent the disease. "A two year break from canola and it seems 95, maybe even 99 per cent of the spores are not viable anymore. We didn't realize that, but there's been a few studies done now and they kind of agree with each other that a two year break is really, really valuable." He says, it was originally thought spores lasted for 18 or 20 years, but now they know less than one per cent of spores live this long. "We need that break to bring the spore load low enough that it's manageable enough going forward. Once you get a spore load in the millions and millions, that two years may not be enough, but for most of the prairies, a two year break is going to be sufficient to keep those spore loads low enough to manage." 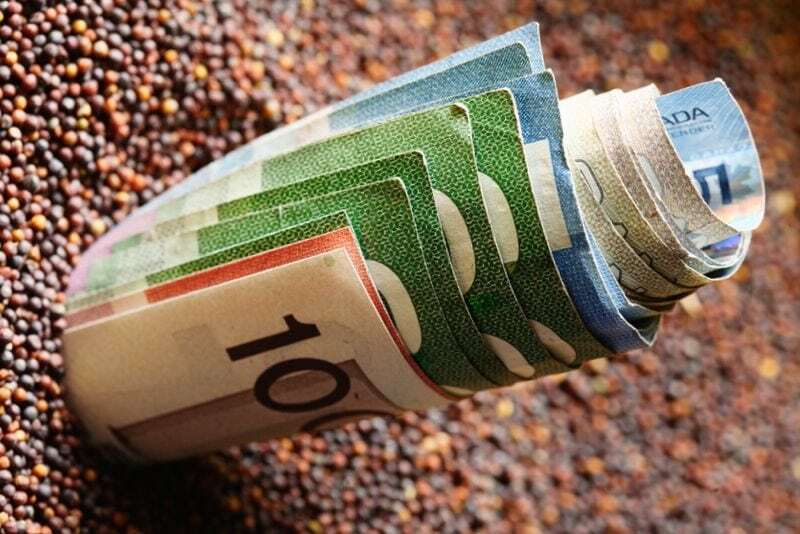 Facing new limits on available funding, Canada’s canola value chain organization plans to refocus its work on its “core strengths” and collaborate with other players. The Canola Council of Canada on Wednesday announced a revised work plan, coming out of a “priorities review” undertaken after one of Canada’s biggest grain companies called a halt to annual funding for several oilseed industry groups. Richardson International announced in January it would withdraw yearly commitments worth over $1 million combined to the Canola Council, Soy Canada and the Flax Council of Canada — the lion’s share of which had gone to the canola body. The Winnipeg-based Canola Council’s resources “are now more tightly focused on the industry’s current priorities and the CCC programs most valued by members,” the council said in a release Wednesday. The council’s own agronomy specialists will still have “geographic responsibilities,” but are also expected to increase their focus on their “individual areas of specialization” such as clubroot, blackleg, stand establishment, weed management, storage management and others. Staff will still provide “credible, evidence‐based data and knowledge to support all areas of CCC activity” from production issues though to “supporting market access objectives,” the council said. Some council programming will also be moved to “other parts of the value chain,’ the CCC said. For instance, it plans to reduce its role in administering the Canola Performance Trials and transfer that responsibility to other stakeholders. Other activities, such as the Ultimate Canola Challenge and sentinel site program, will be wrapped up, the council said. The council said its team will also be “less involved” in provincial disease and pest surveying. Market access and government advocacy remain “top priorities of the full canola value chain,” the council said, but CCC members “can also expect to see more advocacy on cross‐commodity issues” as the council offers “leadership and additional support” to the Canada Grains Council and Canadian Agri‐Food Trade Alliance. The funding model will “provide more predictability for annual contributions,” the council said. Half the budget funding would come from producer groups, the other 50 per cent from the industry. Thus, the council said, its core budget for 2019 will be $5.2 million, down from $8.7 million in 2017. Core funders of the council include the three Prairie provinces’ checkoff-funded canola grower groups, the Canadian Canola Growers Association and (through the CCGA) the Ontario Canola Growers and B.C. Grain Producers Association. Other funding sources include a voluntary processor levy through the Canadian Oilseed Processors Association, contributions from life science companies such as Bayer, BASF, Corteva, Syngenta and Nutrien and a voluntary levy on export companies such as Viterra, G3, Bunge, Cargill, Parrish and Heimbecker and Providence Grain. “With (council members’) input, we determined that the Keep it Coming 2025 strategic plan should remain our industry’s roadmap, and we will reset our priority activities to better respond to today’s needs,” council chair David Dzisiak said in the same release.